Joseph Julius Johnson, son of Zachariah & Missouri (Woodburn) Johnson, was born December 7, 1891 and died October 24, 1978. This part of the Johnson family were members of Sacred Heart RCC and are buried there. He was married twice, his first marriage being to Mary Lillian Mattingly. 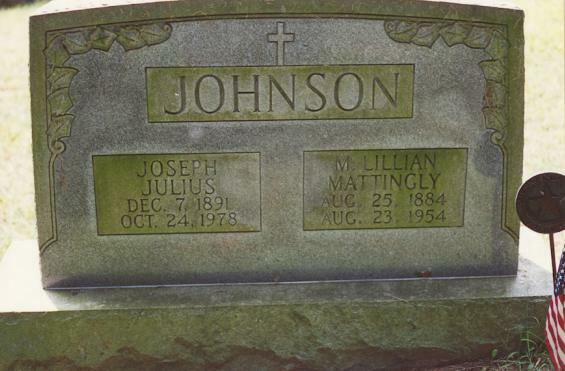 The Mattingly name is a prominent name in St. Mary's county and it appears the Johnsons "married up" on this one. Mary Lillian Mattingly (b. Aug. 25, 1884, d. Aug. 23, 1954) daughter of Ignatius "Tank" Mattingly and Susan Blair. Susan Blair's father was William Blair, born April 5, 1872. 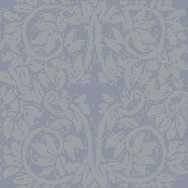 It was at this time that the home known as "Blair's Purchase" came into the Johnson and Bailey families. Mary's sister was Marie (Mattingly) Bailey. 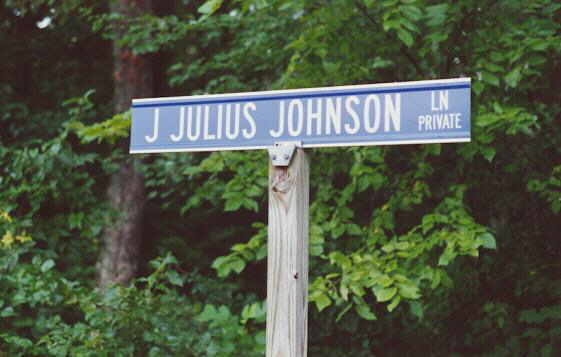 Julius later became the county agent for St. Mary's County. One of the crops he experimented with was Bamboo. 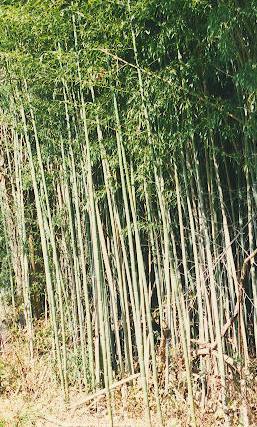 Here is a picture of the bamboo field at "Blair's Purchase." 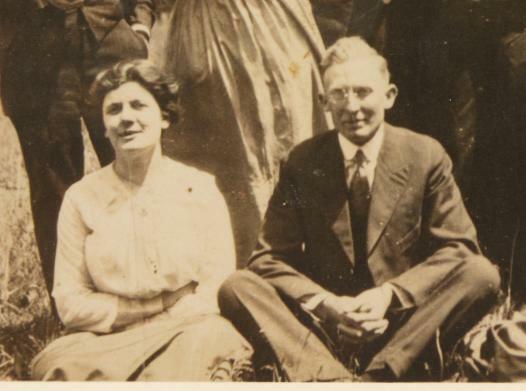 Julius Johnson and Mary Lillian Mattingly had three children. One of them, James Ignatius Johnson, died in infancy on July 21, 1921. Julius' second wife was Anna Swann Wills. They were married February 2, 1958. Anna was born February 19, 1908 and died July 19, 1970. Her first husband was T. W. Wills, Jr. Her children by this marriage were Mary K. Albrittain, Francis W. Duncan, Hannah W. White and Harold S. Wills. She was the daughter of Harold Serviss and Elizabeth Peabody Hayes Swann. She is buried in St. Agnes Church Cemetery, Chapel Point, Maryland.